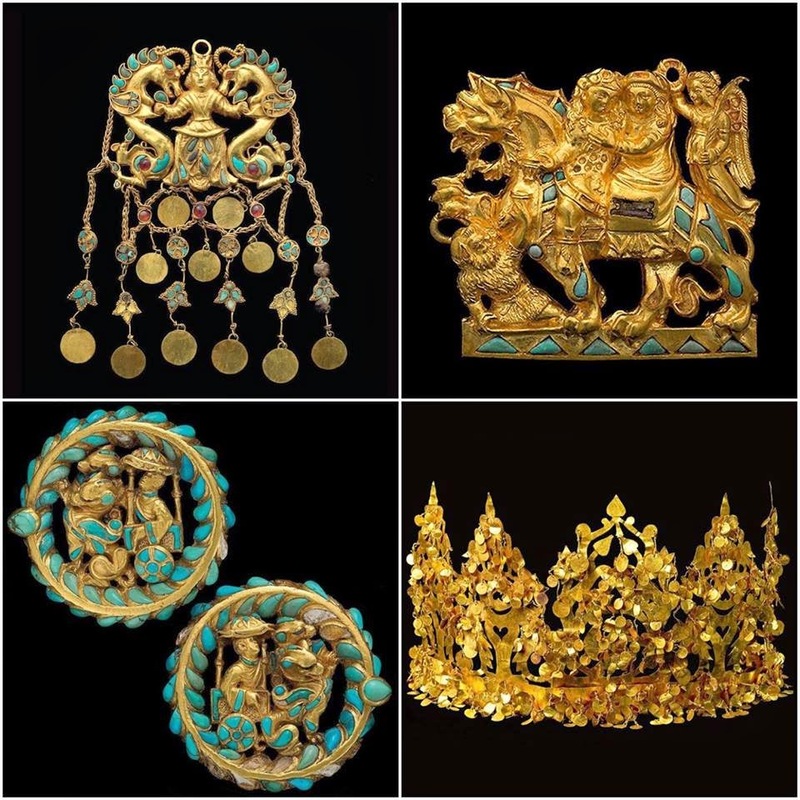 These gold items were found in the 1978-1979 years during excavations at the Tilla-Tepe (northern Afghanistan). From the collection of the National Museum of Afghanistan (Kabul). 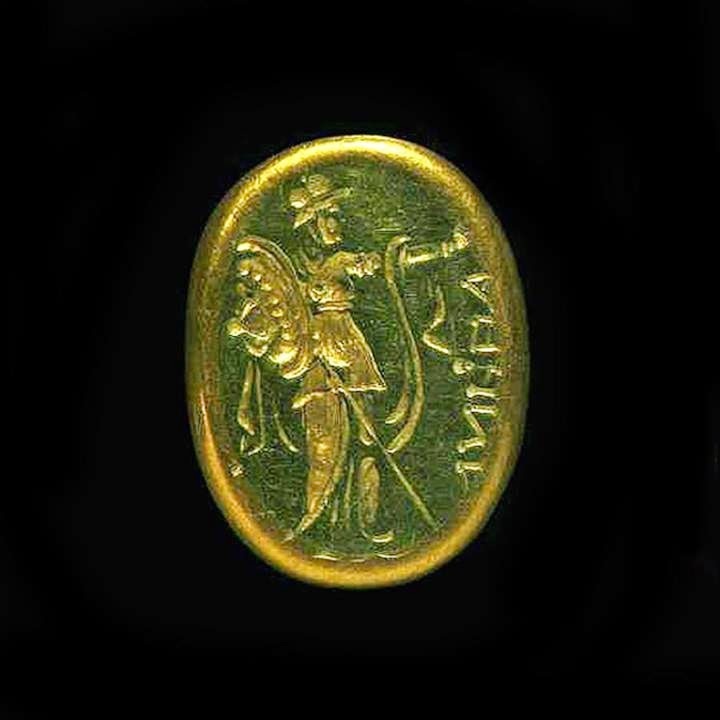 RING WITH IMAGE OF THE GODDESS ATHENA. From 1st century B.C. to 1st century A.D. Found in 1978-1979 during excavations of Bactrian burial grounds on the Tilla-Tepe near Shiberghan. Collection of the National Museum of Afghanistan (Kabul). Photo by Thierry Olivier. The ancient Buddhist city at Mes Aynak needs you HELP! This holiday - please DONATE to SAVE this priceless heritage from imminent destruction.